The NEEDS community includes a diverse pool of healthy women between the ages of 20 and 31 who are available as anonymous egg donors. This section provides an in-depth overview of the NEEDS egg donor program and how one of our anonymous donors can help you fulfill your dream of having a child. Costs for fertility clinic services, including the egg retrieval/in vitro fertilization process, are not included. Please discuss medical costs with your fertility clinic. NEEDS does not require legal services. Please review the consent form at your fertility clinic. After reviewing this form, if legal services are requested, NEEDS will refer you to an experienced attorney. Please follow the step-by-step guide below. 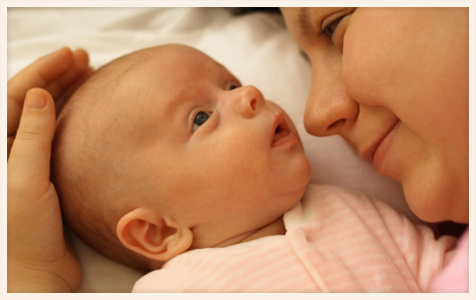 The process of working with NEEDS to find a suitable donor and becoming a parent via egg donation is straightforward. Following are the six steps involved. First, you complete the intended parent registration form online. You immediately will be provided a secure access to our donor database. With your email address and password, you then can search our online database of all available egg donors to locate a donor that meets your desired characteristics. You can organize your search using search criteria to limit the results to those donors most closely matching your requirements. You are provided extensive background information with which to make your donor selection. NEEDS provides pictures of the Donors, their children (if available), and an extensive list of personal characteristics. Moreover, an in-depth medical and personal disclosure about each donor is provided, based directly on the information the donor has provided as part of the NEEDS donor registration and pre-screening process. Once you have selected online one or more potential donors, NEEDS will notify your first-choice donor to confirm her interest and availability for donating her eggs. You then will be contacted to confirm your donor selection, and the donor will be “placed on hold” (i.e., will not be available to other aspiring parents). Once you've finalized your selection of a donor, you will print out and sign NEEDS’ Donor Agreement and Acknowledgement of Intended Parents documents along with two checks – a check for $6,000 (egg donor’s compensation) and $3,700 (the balance of the NEEDS’ fee). We request that you return the agreements and payments within three (3) business days of your selection. The purpose of this request is to ensure fairness to the donor and to other aspiring parents who may be interested in her as an egg donor. Once your signed agreements and payments are received, you and the donor will begin working anonymously with your fertility clinic for the remainder of the egg donation process. This includes a thorough psychological and medical screening, administration of fertility drugs to the donor to stimulate egg production, and daily monitoring of egg maturation. The final step involves synchronizing the intended mother’s cycle with the donor’s cycle (injection of HCG is administered to trigger ovulation), and finally, the egg retrieval procedure. It takes an average of three months from the time you choose a donor to the time of egg retrieval and transfer to the intended mother. Additional Frequently Asked Questions about egg donation are answered in our FAQs section. If you have further questions after reviewing the information on this site, or simply would like personal assistance, please do not hesitate to contact NEEDS at 888-494-4060 or via e-mail at info@fertilityneeds.com. We will be happy to assist you in any way possible as you consider taking your first steps to becoming parents with the help of an egg donor.